Our first dish was actually Chinese style soup but I was so hungry I completely forgot to take pics. I knew it was going to be a feast to end all feasts so I made sure I only had one sandwich for lunch in preparation for the evening's gluttony and by the time the soup arrived I was ravenously hangry. Once I had settled the hunger monster, I managed to capture our second course: Peking Duck. If you haven't had Peking Duck before, stop reading, go out to a good Chinese restaurant and get yourself some Peking Duck. You can thank me later. Peking Duck is a famous banquet dish originating from Beijing (which used to be called Peking). The duck is roasted in a special way to get the skin super crispy, and then is carved into delicate slices so you get a layer of the crunchy skin with a little duck meat . You wrap your morsel of duck in a steamed pancake, add raw cucumber and spring onions and drizzle with sweet hoisin or plum sauce. Wrap it all up like a burrito and feast. The One Dream version was top notch. They sliced up the duck with more meat than usual and not as much fat (awesome in my books) and the duck had been marinated with spices before roasting giving it loads of flavour. . The rest of the duck meat is used to make our third course: San Choi Bao. 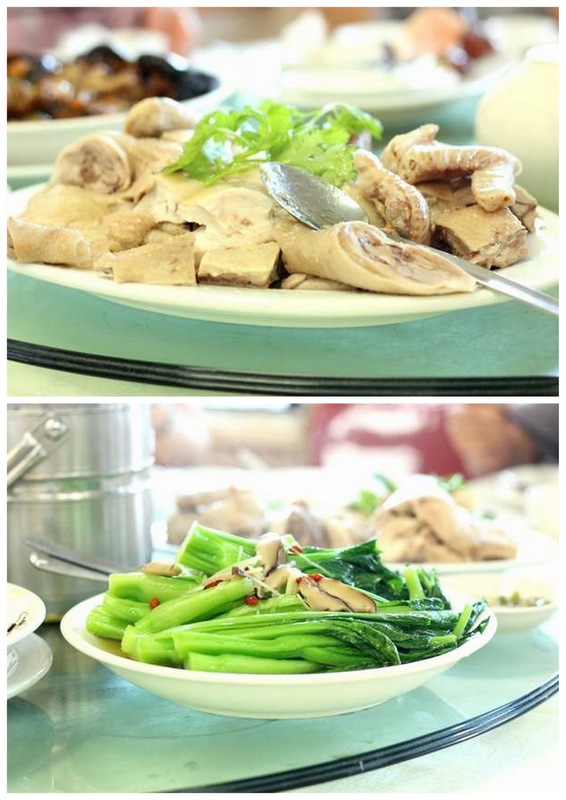 The duck is stir fried with Chinese mushrooms, water chestnuts, tofu, in a spicy oyster sauce and soy marinade. You scoop some of the duck mixture into a fresh lettuce leaf, wrap like a cigar and munch away. Another course requiring manual labour. 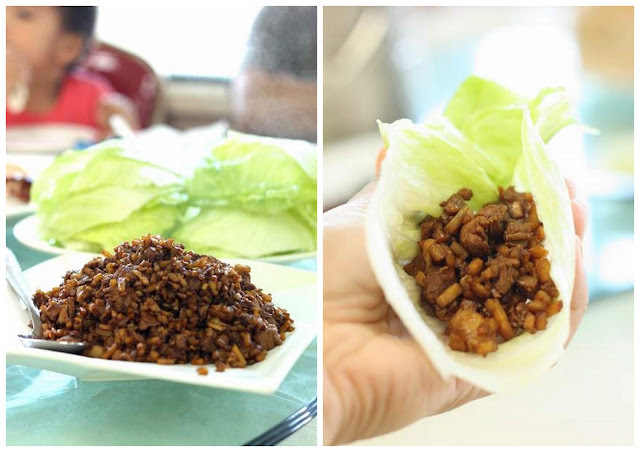 Serving lettuce wraps is considered lucky as the Chinese words for lettuce sound like "rising fortunes". Meaningfulness aside, the crispy cool lettuce is a great contrast to the piping hot, spicy duck. So so tasty and fun too. Braised Chinese mushrooms with fat choi (hair seaweed) and dried oysters ("ho see") is a typical New Year dish as it sounds like "wealth and good business". The Chinese mushrooms were meltingly tender and although I'm not usually a fan of dried oysters these ones were actually pretty good, not too chewy or fishy tasting. The lamb casserole was tender and flavourful, not a stand out but a solid entry and the scallop and snow peas stir fry was crispy and succulent with loads of fat scallops and sweet snow peas. You always have a fish dish at Chinese banquets. The word for fish "yu" sounds like the words for 'wish' and 'abundance' so having fish as part of your New Year banquet symbolises wishing for abundance in the coming year. For our fish dish, we had braised snapper with tofu and Chinese mushrooms. The snapper is deep fried before braising and served with a oyster sauce and soy sauce. The fish was super fresh and cooked to silky perfection. Truely, the whole meal was a testament to the chef and his dedication to picking only the freshest and best ingredients. By the time the white cut chicken with ginger scallion sauce came out, I was already bursting at the seams but it was so beautifully moist and topped with some of that yummy ginger scallion sauce I found I had to have two pieces. Which of course then needed to be balanced out with some of the choi sum with broth dish to make sure I eat my greens. Sweet and sour dishes are popular at Chinese banquets, particularly for families hoping for a lot of grandchildren as the word sour sounds like "grandchildren" in Cantonese. My Mum ordered this dish. Subtle. Finally dessert time. Luckily, even though I was unbelievably full from the main courses, my dessert stomach still had some room to spare. 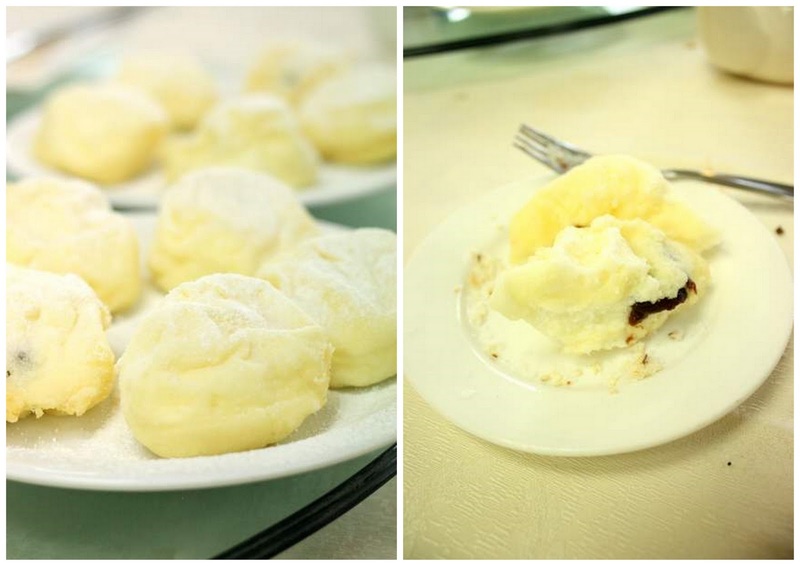 One Dream excels at traditional Chinese desserts. And not just any old desserts, the Sugar-coated Taro and Deep Fried Meringues are some of the hardest desserts to make in Chinese cuisine. For the taro: first of all you need to have Chinese taro which is more aromatic and sweeter than the taro grown here. Then you need to deep fry the taro so it is fluffy on the inside whilst crispy on the outside. After which you make sugar syrup and cook it at exactly the right temperature to get it to recrystallise and mix the taro and toasted sesame seeds and coconut through it. Too hot and you burn the sugar, not hot enough and you get soggy taro. Tricky huh? The end result is a glorious stack of fluffy taro with a crunchy sugar coating scattered with toasted sesame seeds and coconut. I know it sounds weird but it is actually swoon-worthy: sweetly aromatic and fragrantly nutty. Couldn't get enough of it. The other dessert masterpiece were the Deep Fried Meringues. Fans of Masterchef Australia would have watched 2009 runner-up Poh have a fried meringue disaster in the rounds, only to wow the judges with a successful attempt later on. Needless to say this is a dish that even Masterchefs often get wrong. I've had so many bad experiences with oily chewy disasters that we often don't order the dish. However, the One Dream Deep Friend Meringues are a triumph. Light fluffy clouds of meringue, so delicate and ethereal it was like they only dipped their toes into the deep fryer before being whisked out again. Gorgeous. I don't even like red bean and I liked this. We had loads left over to take home, even though we had to be rolled out of the restaurant we were so full. Massive compliments to the chef for starting our New Year with such extreme deliciousness. Can't wait to go back. Service: Family-run restaurant with quick and friendly service. We pre-ordered our banquet menu so everything came super speedy. Dishes are massive and piled high...we had to doggy bag heaps to take home. Food: 100% Authentic and 100% delicious home style Cantonese cooking. Make sure you save some room to try their specialty deep fried meringues and sugar coated taro for dessert. Setting: Small little restaurant with only 3-4 big tables and some smaller tables, open kitchen, has a Chinese tea house vibe. Plenty of parking. Summary: Tasty, speedy, the real deal. One Dream has become our go-to restaurant when we're craving home style Chinese cooking but can't be bothered making it ourselves. Wow! What an amazing dinner. I may have to suggest it to my in-laws next time we are in Auckland. I am SO going there next time I have a peking duck craving. Normally we go to Empress Gardens for it, but this place sounds amazing! this looks & sounds amazing! 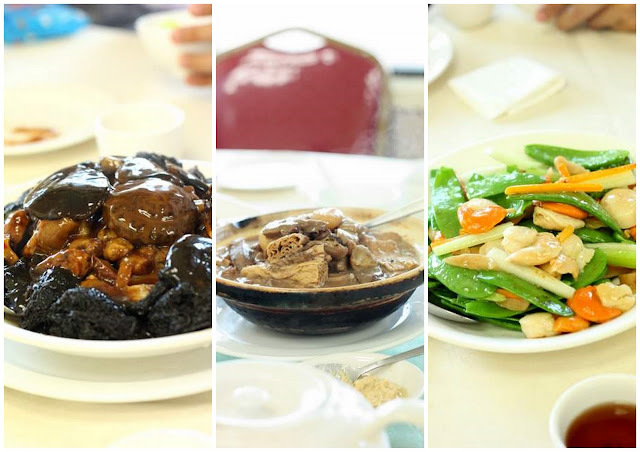 i don't really know too much about chinese food (although i do LOVE peking duck! ), it's especially interesting to read about the desserts as i don't usually order chinese desserts as i'm never really sure what they are! teresa: Yes yes give it a go! Think you have to pre order the peking duck though. We used to go to Empress Garden heaps too...they changed hands though and it just hasn't been the same!